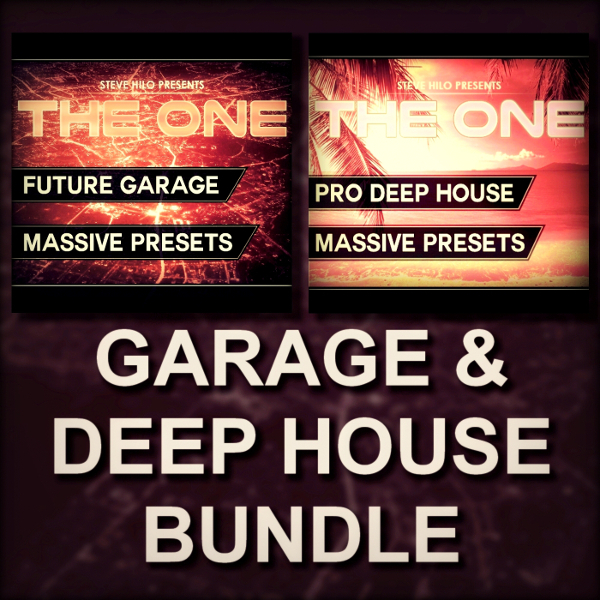 Garage & Deep House Bundle by THE ONE-Series is Soundware (e.g. samples or presets that load into other products). With this bundle, you receive a mighty library, ready to be used in your Future Garage/House productions. All of the 8 Macro controls are assigned on every preset, Randomizing and Velocity control are assigned to many different presets, and the sounds have been crafted to be as fat, full, punchy and wide as possible. All sounds are 100 % original and royalty free, and can be used in any production without any risk for legal issues. The whole music industry is facing a major influence from the evolving genre of Future House, not to mention how the old-school house style is rising in popularity. With this bundle you keep yourself updated on these evolving styles, and stand out. Or if you like to create sweet Deep House tracks, or even darker Future Garage tracks, this package delivers good quality. A total of 150 NI Massive presets. 5 WAVs at 96 kHz/24-bit. PDFs of what presets were used in the demos for the original soundbanks, as well as info of which freeware third-party plugins that were used.